The store is right off of Ogden which is perfect since I live in Naperville. It is clean and maintained, I saw an employee cleaning the doors of the units so I know they care about the place they work. I'm really comfortable with my choice to rent here and would highly recommend this storage location to anyone in need. It's a great feature to offer driving inside the facility to move things in and out. I was there with my moving truck and getting everything in the unit during a snow storm was no hassle. The manager that helped me was very kind and knew every answer to all my questions. I have stored before throughout the years and these guys really wowed me. They know what theyre doing and the place looks great and has security cameras so you know it's a safe and secure facility. Im very happy with my decision to rent here. This place is a literal life saver!! My apartment had a pipe burst and all my stuff had to be taken out of my apartment, it was a complete NIGHTMARE!! I was struggling to even find a storage close by. I cannot believe how easy it was to move into this place. The managers in the office were awesome, they made me feel so much better about how crappy my situation was and I feel really great about choosing this place! I reserved a unit online and visited the office later that day. I didn't know the exact size I needed but the managers in the office asked the right questions to figure it out. I rented the first unit they showed me and it was the perfect fit for my couch, tv stand, and all my boxes. I am very thankful I was able to find this place in time to hide presents from Santa! I highly recommend storing here. I had never rented a storage unit before so I didn't know what to expect or really how big of a unit i would need so I was nervous but the girls in the office were so friendly and really know what they're doing so it put me at ease. I ended up spending more than I planned but it's worth it for the security and piece of mind they provide. I had a problem with my apartment and had to move in a hurry so I needed to find a storage unit right away. The staff could not have been more helpful! They put me at ease and helped me as I was trying to figure my quick move. I was using the public storage nearby for a couple months and I had to leave. It was very dirty and rats got into my stuff. Went across the street to U-Stor-It and couldn't be happier. The place is clean, safe and well kept. I was impressed with the drive through loading bay they have. You get your own pinpad code and can drive right into the place and unload your stuff inside. Very nice during the cold winters. I'd never stored before, but after visiting u-stor-it on ogden avenue i was pleasnlt surprised at how clean, professional, and safe it all is. Phillip helped me determine what size space i would need. Very knowledgeable and new exactly how much room i would need. good price and a very quick rental process. cannot thank them enough for helping me out in bind. 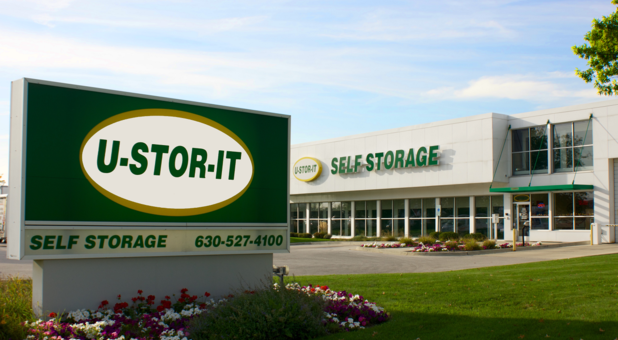 If you need storage in the lisle go here. Thanks to Phillip our Sunday moving was less of a headache than we thought it would be. These guys are the best. came in last week to look at their storage units and found them to be quite helpful. having never used self storage before, they made it quick, easy, and painless. very clean space and the indoor loading area was a huge plus. They even had boxes and dish wrap. Definitely would recommend! Regrettably used PS in the past and had horrible experience - moved into UStorIt inside storage units and couldn't be happier! Clean facilities, spacious units, and friendly staff! Driving into the facility makes moving boxes etc in/out very easy especially with moving carts always readily available. Definitely recommend the Lisle location! I needed storage very quickly. Being my first experience with self storage, I didn’t know what to expect. I checked out this place just outside of Naperville and had a great experience! Duane and phillip the managers at u stor it could not have been more helpful with my move. The paperwork took no time at all and they even had free storage carts to help me throw all my stuff in the storage space. I also got my 1st month of storing free! Everything was so clean. I think I found the right place! Excellent service! Always a pleasure to see and talk to Dwayne! Duane Riley is the most helpful, responsible, prompt employee of U-Stor-It that I have met since I rented my two units. I can highly recommend working with him. He always has a smile for me while assisting me. Great job, Duane! I have my storage unit in this location for over a year. It is safe, clean and very well maintained. Duane and Dennis are always friendly and take good care of the place. It is a fair price for and indoor storage. I just want to give Duane Riley and his team the recognition they deserve- for the three years I have had lockers at this UStorIt ( I've had lockers at Public Storage & The LOck-up before this, both bad experiences!) I have always been treated with the utmost respect as they have seen to my changing needs each and every time! Their level of professionalism is unparalleled even with an office filled with demanding patrons. I consider Duane an awesome manager of a top notch company that continually delivers for it's broad customer base! Thanks for all you do. Dennis has always been there to help me. Couldn't be more pleased and appreciative. Thanks, Dennis. You're the best. Duane is fabulous to work with. Very helpful and very professional. Great help to me and my family. Thanks, Duane. Jim, we hope the restoration is coming along well. Glad you are pleased with your stay with us! Please, let us know if there is anything else we can help you with. This is an excellent storage facility to do business with. The place is very clean and reasonably priced. The staff is courteous and friendly. I've been here for 3 years and don't have anything negative to say. Got a easy drive up unit, the whole facility felt clean and safe. The price was right for the location I got a pretty sweet discount for the first month too.